In the 2017 eight race series, he achieved an astonishing 5 Wins breaking the existing records for most Wins in a season and most consecutive Wins (3). 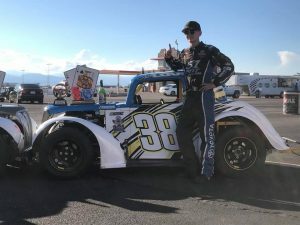 In 2018 he won his second consecutive 51Fifty Jr late Model Championship bringing home 7 top-three finishes in nine races including 4 wins. 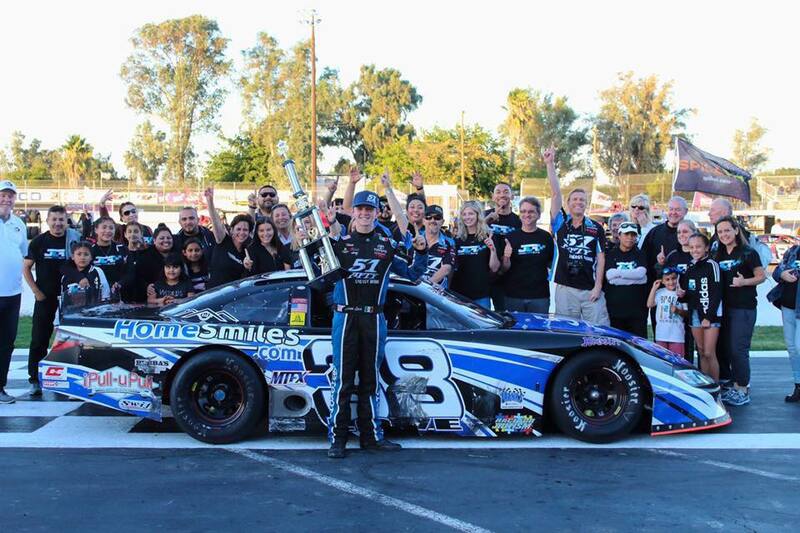 He also competed in three Pro Late Model races where he finished third in the RPM Mortgage $10,000 Short Track Shootout at Madera Speedway against the top late model drivers on the west coast. 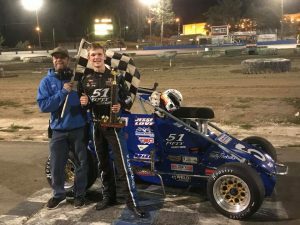 Jesse Love, 13, made US history this summer when he became the youngest ever winner in a full-size midget series race, accomplishing the feat while racing in the BCRA Midget Series. He finished the season off with two more wins in the series and won the overall Championship, the youngest racer ever to do so. But the midget series title is an accomplishment of a higher sort, as the BCRA is an adult class where veterans of the sport compete on a regular basis. Jesse had to be given a waiver by series officials to compete at age 13. Normally a driver must be 15 years of age to be eligible. 51 FIFTY Toyota Racing Development driver Jesse Love takes down the WORLD CHAMPIONSHIP WIN at the INEX Road-course Wold Championships at Las Vegas Motor Speedway. Jesse competed in the Young Lion division. He qualified with his Silver State Championship earlier in the year... he won 5 out of the 8 races. By winning the World Championship in Young Lion, he also earned a provisional to the Pro Division Race. He tagged the rear of the 23 car field and finished with a Top 10 in his first ever Pro start.